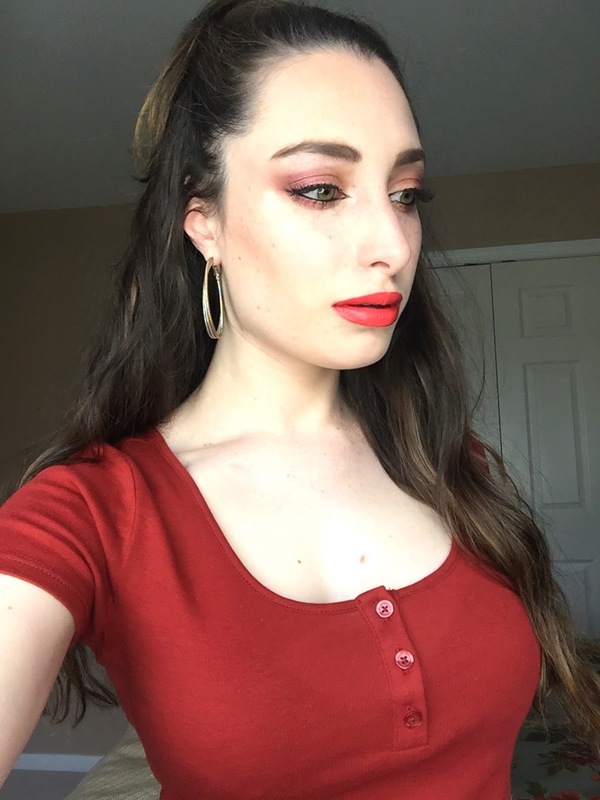 Hey guys, I saw my favorite Youtuber, Carli Bybel do a summery berry and orange look and I wanted to recreate it for you guys! She used more coppery colors, but I feel like I use them a lot so I mixed my look up with more orange hues. 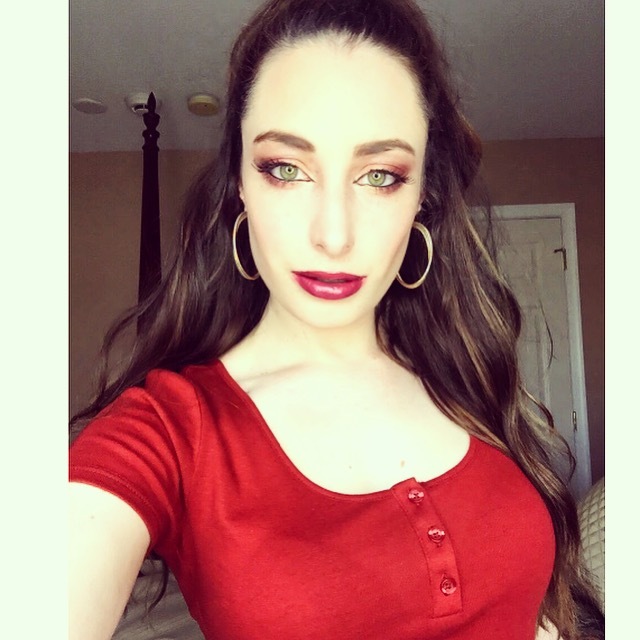 Below is the makeup products I used and dupes, as well as this look with another lip color! I think this look is great for a summer night out or even a nighttime wedding. Brows: Tarte Amazonian Clay Brow Mousse in Medium Brown and NYX Brow Mascara in Brunette to set, similar NYX Tame and Frame Brow Pomade in Brunette. 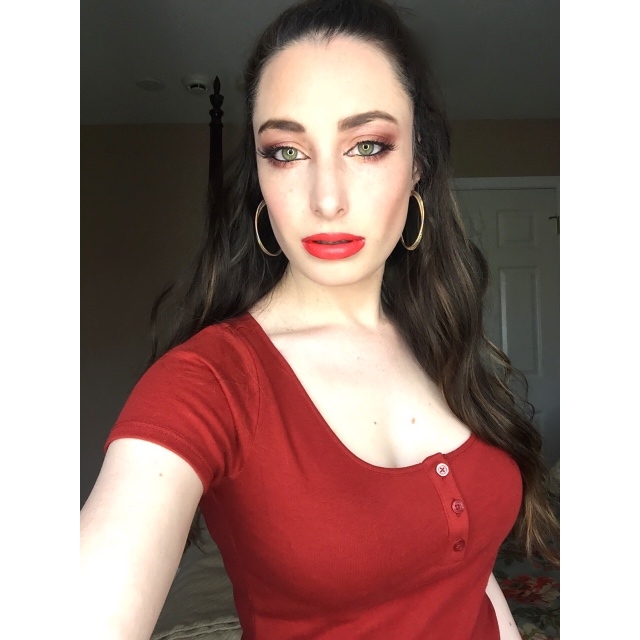 Lid: ABH Dress Your Face Tamanna Palette, Bengal, (sold at Macy’s) similar Urban Decay Riff. This color is extremely difficult to find drugstore, but if you can get Bengal at Macy’s it’s only $12. 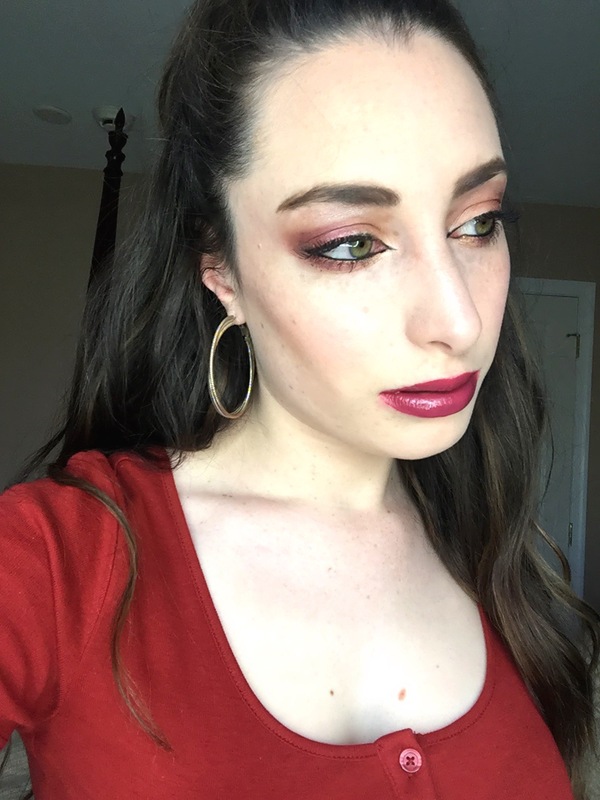 Outer lid: ABH Dress Your Face Tamanna Palette, Sangria, similar Makeup Geek Pigment in Enchanted or Maybelline Eyestudio Quad in Mad Mauve (the last color). 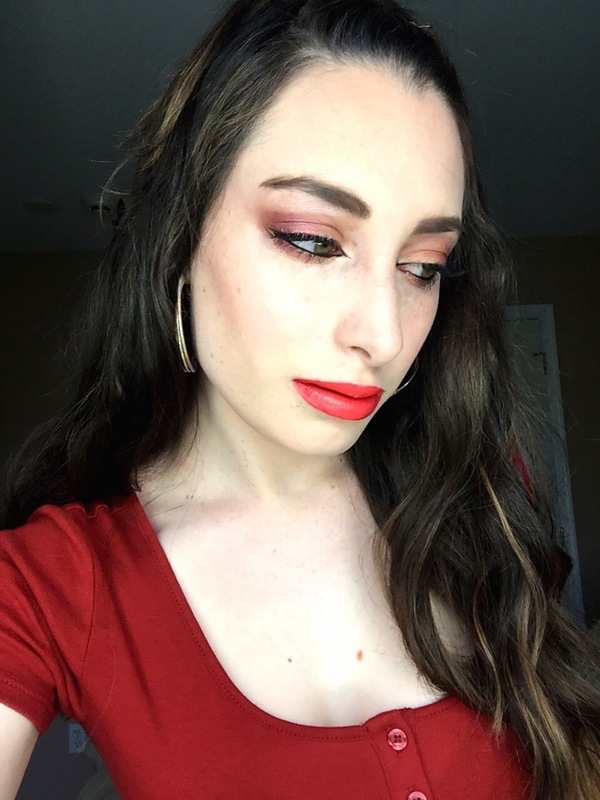 Browbone and inner corner: ABH Dress Your Face Palette, Blush, you can use any shimmery white/pink eyeshadow for this. Lower lashline: Mixed Sangria on the outer lash with Urban Decay’s Penny Lane from the Vice 1 palette. similar Milani Bella Eyes Gel Powder Eye Shadow in Bella Copper. Eyeliner: L’Oreal Silkissime in Black with Jordana Cat Eye Liquid Liner in Black Leather in inner corner. Mascara and lashes: L’Oreal Miss Manga in Blackest Black and Ardell 120 Natural Lashes in Demi. Orange lip, look 2: Rimmel Moisture Renew Lipstick in In Love With Ginger, mixed with NYX Round Case Lipstick in Orange Soda.